Capacity of Crucible: 500 Gms. Silver. These machines are used for manufacturing membranes for brackish water desalination. 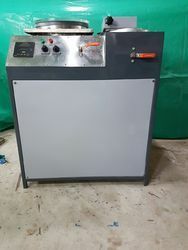 Polysulfone Coating Machine is used for preparation of micro-porous polysulfone support membrane from woven and non-woven fabric. 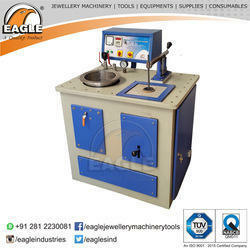 Our coveted firm has been indulged in the manufacturing of a wide assortment of precision Lead Ball Casting Machine. These machines are in wide use at batteries manufacturing industries. The machine has been constructed as per the industrial standards and has an inbuilt cylindrical shell with both ends as conical in shape. our professionals hold specialization in manufacturing and supplying a comprehensive range of casting metal. The centrifugal casting metal molds are designed by experts and manufactured using premium-grade raw material. The product offered by us is available in carbon steel construction. Fully Automatic Grid Casting Machine can cast automotive grids negative industrial grids suitable for antimony selenium grids.